Our Dogs - Children's Communication Center, Inc. This Center is fortunate to include our three family dogs who continue their training to assist with this Center’s SLP services. Each was adopted as a puppy and is a special part of our family. 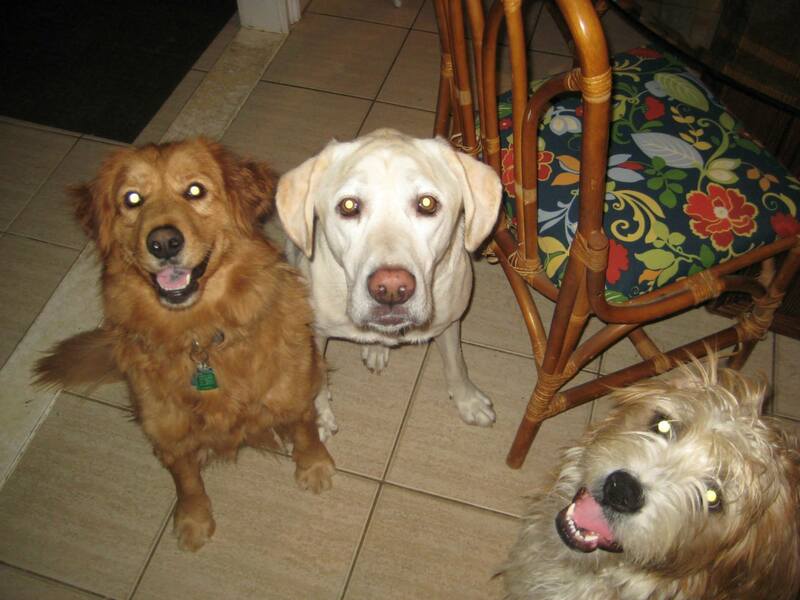 Sora, our yellow Labrador Retriever, Max, our Golden Retriever, and Gracie, our Doodle all enjoy their time with our “friends”.